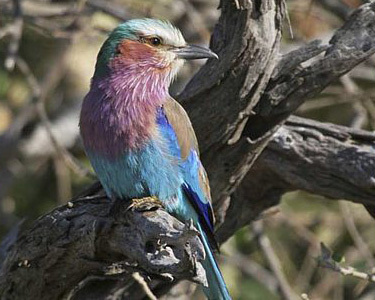 South Africa: The Western Cape and the Greater Kruger Conservancy. Described as “a world in one country,” South Africa is a land of unique ecosystems and micro-habitats that support an extraordinary diversity of birds, mammals, reptiles and botany. Add in a tapestry of spectacular scenic delights and significant cultural sites, and it becomes clear why this country is a such a sought-after destination. From the convergence of two great oceans off the Cape of Good Hope to the subtropical savanna woodlands of the world-acclaimed Kruger National Park, we’ll enjoy a paradise of wildlife-viewing and cultural attractions at the very best time of the year in South Africa – the transition into spring and early summer. Sallie Bodie, executive director of BirdNote, will be our host, and expert naturalist Patrick Cardwell of Avian Leisure will guide our activities. All of our birding and cultural exploration will be complemented by social time, stories from BirdNote, and an amazing African safari. What in the World Is a Hoopoe? To learn more, and to reserve your spot on this small group experience, please sign up here. Please don’t delay as space is limited. A non-tax-deductible portion of the proceeds of the trip supports BirdNote.